As expected, and as we previously gave you an insight into not long after iPhone X was announced, Apple will use the public release of iOS 11.2 to introduce faster 7.5W wireless charging for iPhone 8, iPhone 8 Plus, and iPhone X.
Wireless charging has been supported out of the box with those devices via Qi-compatible charging pads and stands, but now, with the release of iOS 11.2, owners of those devices will be able to get charge into their device quicker with the unlocking of faster charging. Apple’s latest public version of iOS is iOS 11.1.1, which allows all of those three devices to charge wirelessly with Qi-compatible accessories, but limits that charge to 5 watts. As part of the device introduction back on September 12, Apple alluded to the fact that faster wireless charging speeds would be coming in the future. Tim Cook and his team didn’t give any concrete information on when that time would be, but we now know that 7.5-watt charging will be unlocked for those three compatible devices with the public release of iOS 11.2, which is currently in beta with developers and registered testers. Apple hasn’t actually made this information known in any release notes but testing of the theory has confirmed that iOS 11.2 does support 7.5-watt charging after a tip from an extremely well-known accessory manufacturer. 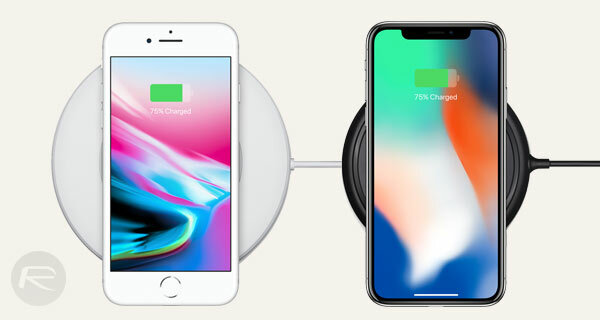 That tip was then put under test using the Belkin Qi-compatible wireless charging accessory as sold by Apple, with the results showing that iPhone X charged from 46% to 66% in 30-minutes with the faster-charging-compatible accessory. The same device went from 46% to 60% on a standard 5-watt charger in 30-minutes. One of the interesting things is that Apple’s wireless charging devices, which in this case are the iPhone 8, iPhone 8 Plus, and iPhone X, are not compatible with the full capability of the Qi standard. The Qi 1.2 standard is capable of allowing charging up to 15-watts with accessories and devices that support it, whereas Apple’s hardware is limited to 7.5-watt charging with this latest iOS 11.2 release. Still, that’s a marked improvement on 5-watt charging, and should definitely allow device owners to get important battery life into the device prior to heading out in a rush. Great news for most, but not wonderful for those who have purchased a Qi device which doesn’t offer faster-charging. Additionally, if you’re looking to tap into some of this wireless charging magic, we have a prepared a list for you here: The Best iPhone X / iPhone 8 Wireless Chargers.